Welcome to the Basics Tutorial! This first lesson is mostly background work you need to do before you can get going with development. Once your machine is set up and the project is running, we’ll use the project to explain the basic concepts of SpatialOS. So bear with us! To set up your machine for developing with SpatialOS, follow the setup guide for Windows, including the optional Unreal part. This sets up the spatial command-line tool, which you use to build, run, and deploy your game. You’ll use it later in the lesson to build the game and run a local deployment. At the moment, the SpatialOS Unreal SDK only supports development in Windows. 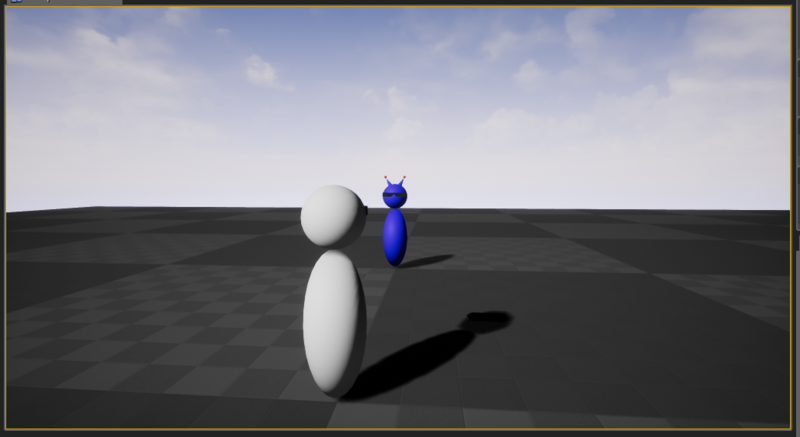 In this tutorial you’ll develop on a variation of the Unreal Starter Project that we’ve prepared. This variation contains a pawn for the Player (replacing the cube) and a “bot” pawn. Download and unzip the source code. Run spatial diagnose. This checks that you installed all the software you needed correctly. In same terminal window, run spatial worker build --target=local. This builds the game. It can take a while, so you might want to go and get a cup of tea. It’s done when: You see 'spatial build' succeeded (or 'spatial.exe build' succeeded) printed in your console output. It’s done when: You see SpatialOS ready. Access the inspector at http://localhost:21000/inspector printed in your console output. 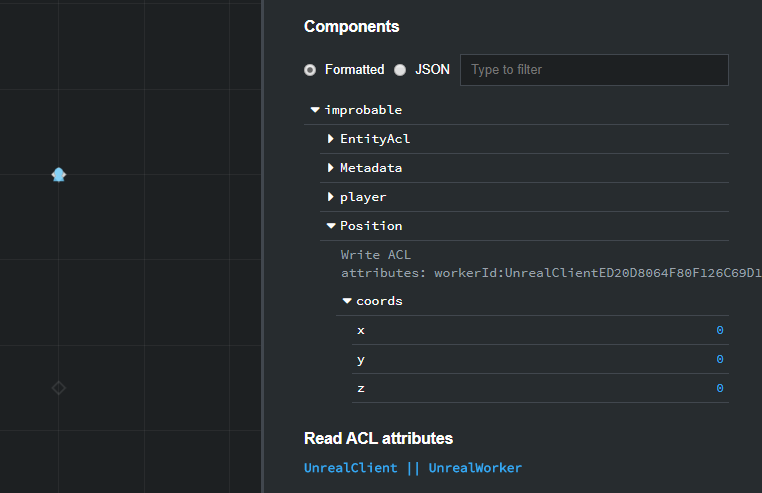 However, the configuration of the project also launches one managed worker and you’ll know it’s ready when you see The worker UnrealWorker0 registered with SpatialOS successfully. There are several ways to run a client, but the fastest one for local development is to run one from the Unreal Editor. Switch engine versions to the source-built version you built previously. 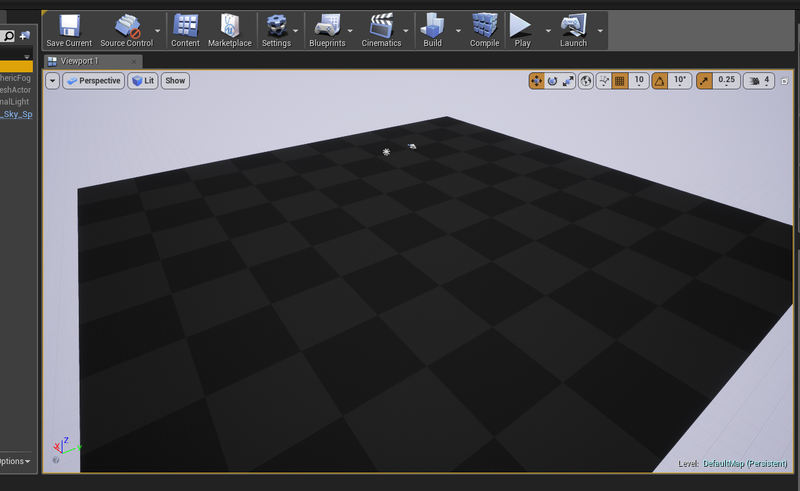 Double-click on StarterProject.uproject to open the project in Unreal. You’ll see a scene containing just a flat surface that is the ground. Click Play ▶ and when it connects, you’ll see some log messages. You’ll be in control of a pawn that you can move using WASD, and you’ll see a bot standing in front of you. Entities are the basic building block of a SpatialOS world. Every thing that has some kind of persistence or has data which needs to be replicated in different clients in your game world should be an entity. Entities are made of components, which describe an entity’s properties (like position, health, or waypoints). The main area of the Inspector shows you a top-down, real-time view of the entities in your game world. This project contains three entities: your Player that was created when your client connected, a Spawner (you’ll learn about this later, but essentially it’s an entity that can create new entities like your player), and the standing bot. The bottom-right list initially shows how many entities of each type there are in the current view of the Inspector. We’ll look at this area in more detail shortly. Essentially, workers are just programs that can read from and modify the entities in the world you see in the Inspector. Unreal running in headless mode. These workers handle the server-side logic. In the list, UnrealWorker0 is of this type. Unreal running as a client. There’ll be one of these in the list for every player connected. At the moment, there’s just one: yours (UnrealClient followed by a list of random characters). The project is configured to start with one UnrealWorker; but if you expanded the game world, you’d need more. SpatialOS automatically allocates areas of the world to each UnrealWorker, and seamlessly stitches the world together between them according to several patterns that you can configure. Sometimes, in Chrome, there’s an issue that means you can’t select entities. To fix this, detach the Inspector tab from the Chrome window, and then reattach it (or, if you have the Inspector open in its own window, attach it to another window and then detach it again). You’ll see there’s one player entity (in this case the entity with ID 3). Click the ID number to select the entity. This view lists all the components of the entity, and which workers have authority over them (you’ll learn about authority in more detail later). You can select a component to see the information it contains. Do so for the Position one and you’ll see it has a set of coordinates coords, which in this case are (0,0,0). Components are really what define an entity. They can be anything you like, but common examples might be health, or stats. Every entity has a Position component that defines its location in the SpatialOS world. Click the name UnrealWorker0 in the list of workers. This shows details about that worker. In Unreal, click the Stop button to stop your client. 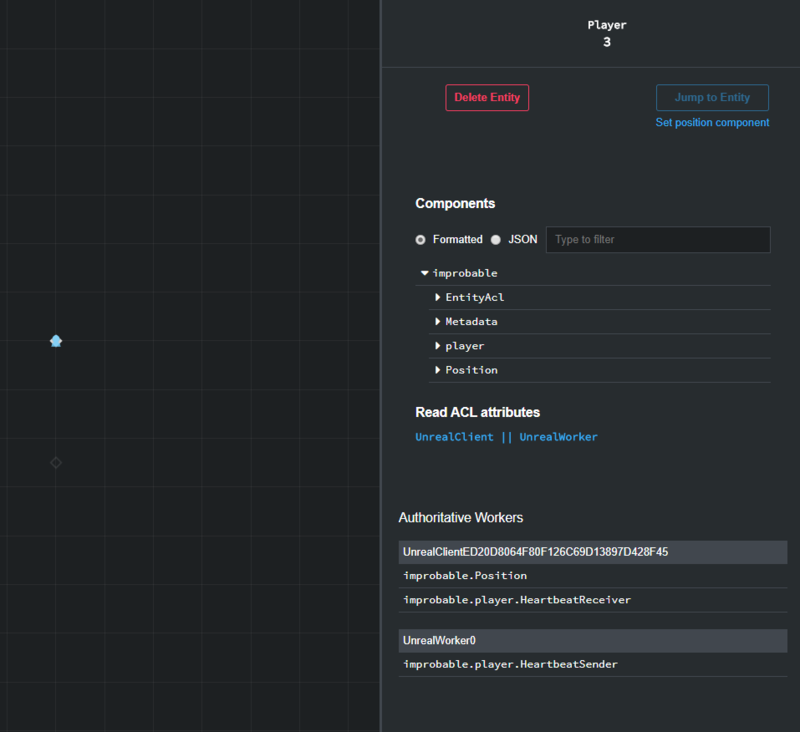 In this lesson you’ve set up the SpatialOS SDK on your machine, and run the project for the first time. 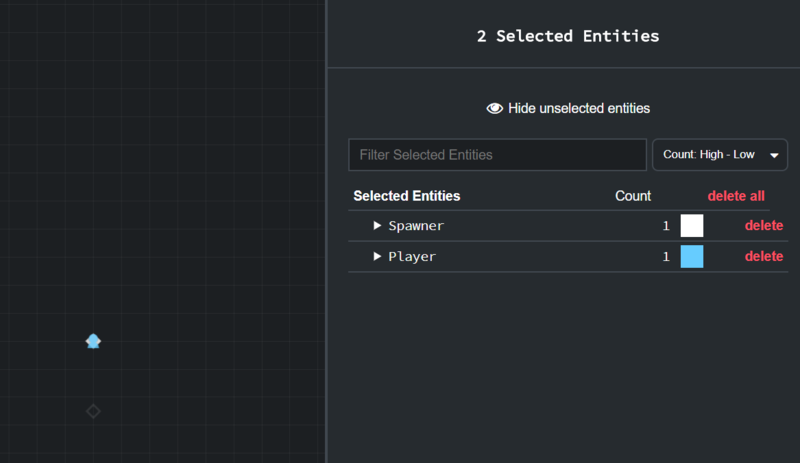 You’ve also learned about some fundamental SpatialOS concepts: entities, components and workers. In the next lesson you’ll add basic movement to the bot as a way to learn how to modify property values of a component.